What’s the difference between 32-bit and 64-bit computing? If you’re in the market for a new computer, or perhaps just a new operating system (OS), you’ve likely noticed designations such as x86, x64, 32-bit, or 64-bit. What do these designations mean, and how do they relate to your next technology purchase? Simply put, these designations indicate the amount of data that a computer system can process at any given time. When you use the Boson Exam Environment (BEE) for an ExSim-Max or a Marketplace practice exam, you can incorporate several available customization options – these deliver a customized exam experience and allow you to take the exam in a way that works best for your study goals. In Part 1 of the Device Access Modes blog, we looked at some fundamentals: switches, routers, and access modes. To recap those modes quickly, user EXEC mode is represented by the Switch> prompt (or similar) and does not allow configuration changes. 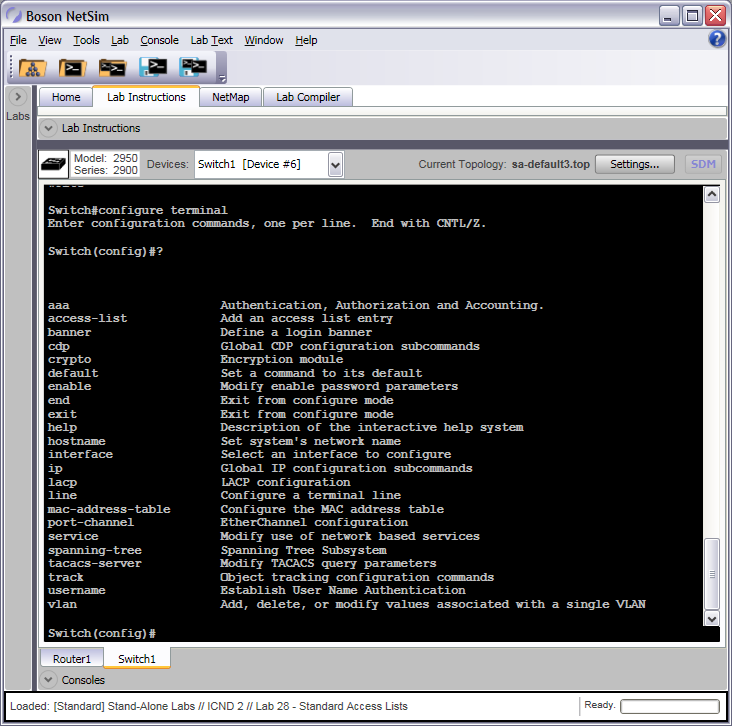 Privileged EXEC mode is represented by the Switch# prompt (or similar) and does allow configuration changes.